Evergreen students will accumulate academic credit for work well done and levels of performance reached and surpassed. Only if students fulfill their academic obligations will full credit be entered on their permanent academic records. Otherwise, there will be either no entry, or the recording of fewer units of credit will represent what they have actually accomplished. Academic credit is measured in standard quarter hours. Academic programs are typically designed as 8 quarter-hour (half-time), 12 quarter-hour, or 16 quarter-hour (full-time) offerings, except for modular courses which can be designed as anything from 6 quarter-hours to 1 quarter-hour, depending upon contact time and the nature of the work. Sixteen quarter-hours is the maximum credit a student can receive per quarter. The minimum requirement for awarding either the bachelor of arts (B.A.) or the bachelor of science (B.S.) degree is 180 quarter-hours of credit. Continuation beyond 200 quarter-hours without graduating requires approval of an educational plan by an academic dean. 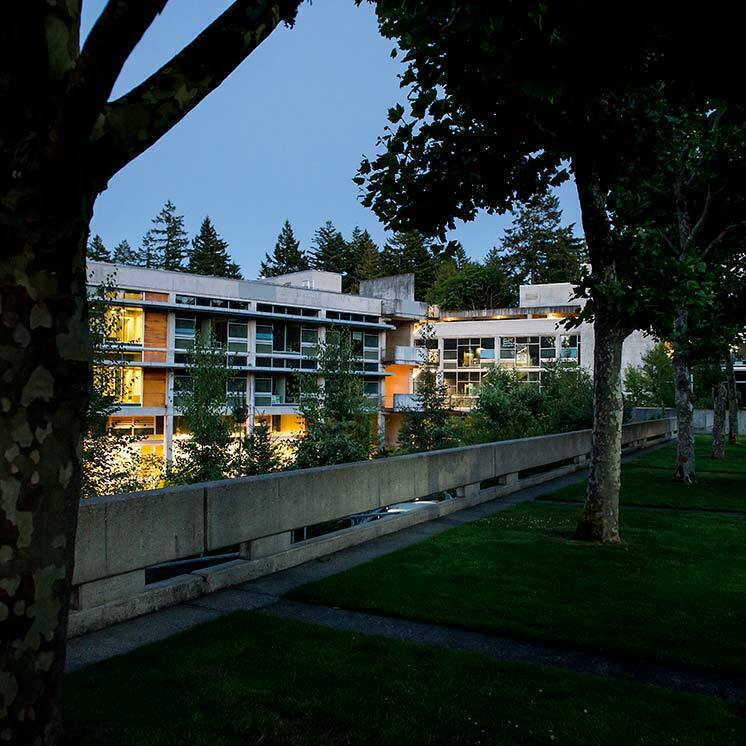 A transfer student from another college must earn at least 45 of the last 90 quarter-hours of credit as an enrolled student at Evergreen to be eligible for an Evergreen degree. It is possible to earn a second Evergreen baccalaureate degree by completing at least an additional 45 quarter-hours of credit as an enrolled Evergreen student. The B.S. degree requires that of the 180 quarter-hours total, 72 quarter-hours of credit be in mathematics and natural science, of which 48 quarter-hours of credit must be in upper division work. Three graduate degrees are presently available: the Master of Public Administration, requiring a minimum of 60 quarter-hours; the Master of Environmental Studies, requiring a minimum of 72 quarter-hours; and the Master in Teaching, requiring a minimum of 96 quarter-hours. Each program also requires completion of a core program, a set of electives and a thesis or application project. More important than the units of credit recorded and the assurance that the student is in good academic standing are the evaluations of the student's performance. Within a coordinated studies program, the student will be constantly evaluated by the seminar leader in individual conferences and through comments on submitted assigned work. The student will be continually engaged in mutual critiques with the other members of the seminar and of the coordinated studies group and perhaps even face the criticism of a larger audience if the work leads to a performance, a publication or an exhibition. In a group learning contract, the work will be carefully scrutinized by the sponsor, and any subcontractors who may be involved, on- or off-campus. Because students will not be competing for grades, substantive evaluations by teammates and faculty will be directed not toward standardized comparisons, but toward helping each person.